Humans of all ages and all backgrounds love to talk and listen. And we are good at it! This is why communication technology is evolving towards delivering conversational experiences, even when a human isn’t available to take a call. Here at SnatchBot we are on a mission to provide you with a platform that allows you to build chatbots that give users the most intuitive, enjoyable conversational experiences. This means chatbots with AI, via our powerful Natural Language Processing systems, and it also means talking chatbots. Bots are like new applications that you can converse with. Hopefully, users of your chatbot are already enjoying the experience. Instead of being left on hold in a phone conversation, or navigating tedious menus, or waiting for customer support in live chat, engaging with a chatbot means the user gets instant responses, 24/7. This is why 80% of businesses want a chatbot by 2020. Make your chatbot more than a communication tool: it can also project a personality for you and give the user a far more pleasurable conversational experience by speaking to them. 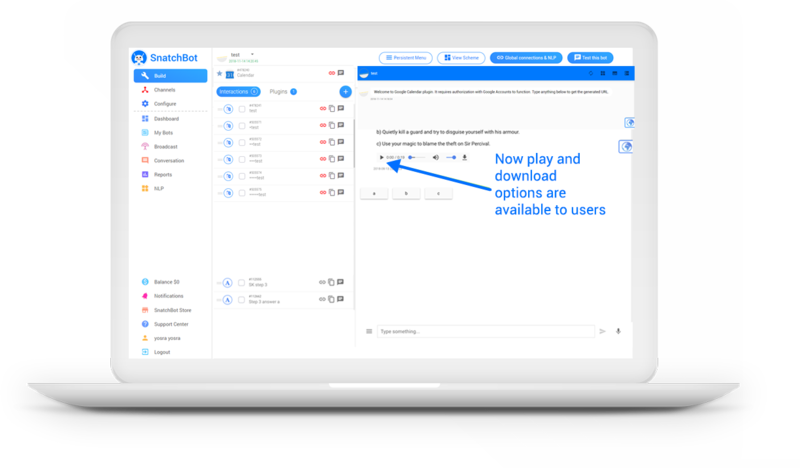 For every interaction that you want to apply it to, the Text-to-Speech feature generates an audio file which the user can listen to in any of the supported channels. You have a choice of languages and a choice of voices. 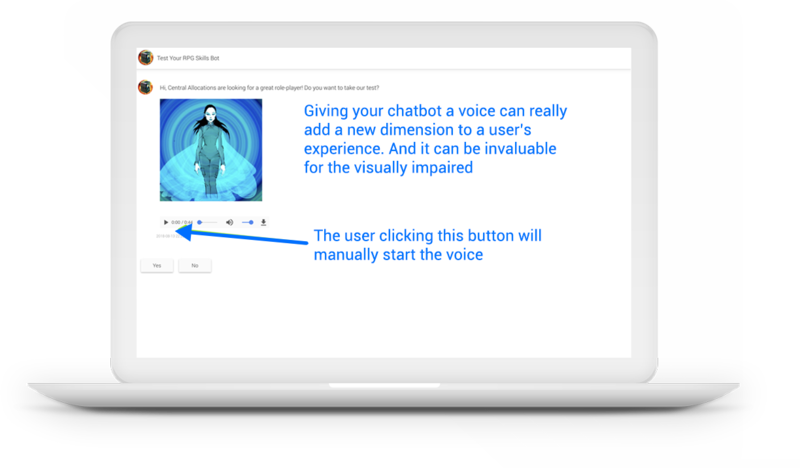 Try them out first and find the voice that best reflects the personality that you are projecting via your chatbot. Whether it’s working with state-of-the-art NLP or creating speaking chatbots, you’ll find our tools beautifully intuitive and easy to use. We’ve put this technology at the service of all our users, with no coding required. We also build specialised chatbots for businesses of all sizes. Ready to hear how SnatchBot can help your business create conversational solutions? Then let’s talk.